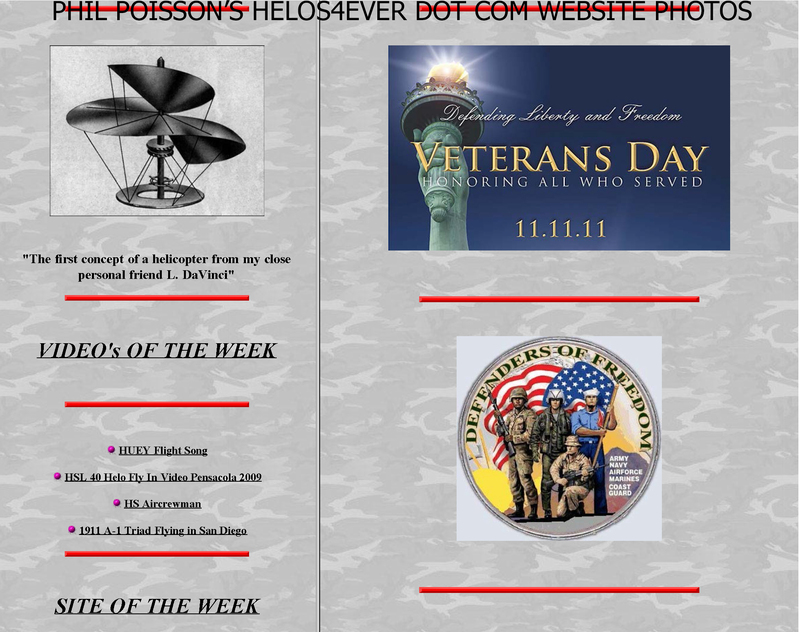 The late Phil Poisson’s website, @HELOS4EVER.COM has been passed to NHAHS to look after and make best use of the historical data he had collected about Naval Helicopters over the years. The domain now points to this website. Any questions, contact CDR Mike Brattland USN-Ret NHA Retired and Reunion Manager/Webmaster NHAHS via email at retiredreunionmgr@navalhelicopterassn.org or call 619 435-7139.